Community Engagement Platform – Let’s Talk! Suicide rates are hitting crisis levels. And K-12 students aren’t immune. Whenever someone takes his or her own life, it’s a tragedy. But when a well-known celebrity–who seems to have it all–commits suicide, the world always takes notice. The recent deaths of fashion designer Kate Spade and celebrity chef Anthony Bourdain have put the issue of suicide back in the national conscience. According to a just-released report from the Centers for Disease Control and Prevention, Spade and Bourdain are part of a rising tide of suicides in the United States in recent years. Unfortunately, this tragic trend affects nearly every age group–including America’s children. As the country faces a suicide crisis, school leaders will be asked to redouble efforts to ensure their most vulnerable students have an opportunity to seek help, and that peers feel empowered to speak up when they see a friend or friends in need. According to the CDC report, Vital Signs: Trends in State Suicide Rates, national suicide rates rose by nearly 30 percent between 1999 and 2016. In 2016, there were 45,000 suicides of people aged 10 years or older. Emergency room visits for nonfatal self-harm increased by 42 percent between 2001 and 2016. When looking at individual states, the CDC found that suicide rates increased in 44 states. In 25 of those states, suicide rates increased by more than 30 percent. For more on ensuring student safety, sign up for the TrustED newsletter. Sadly, children are not immune to such tragedies. 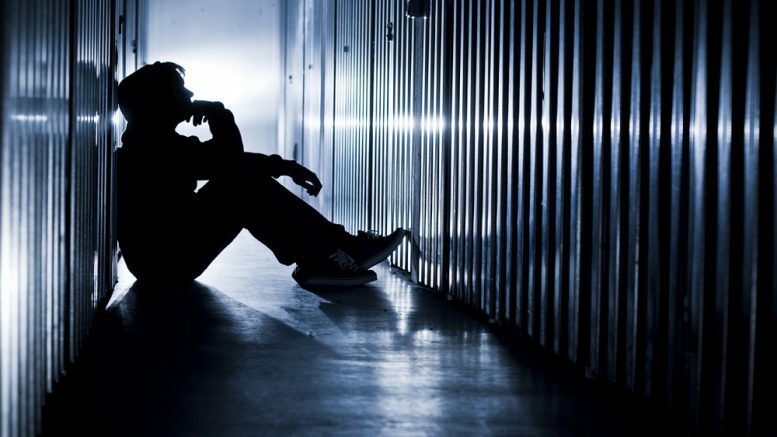 According to another CDC report, suicides among 10-14 year olds doubled between 2007 and 2014, as did hospital admissions for students aged 5-17 who had suicidal thoughts or harmed themselves, according to a Vanderbilt University study. It’s easy to speculate about what motivates someone to take their own life. But, despite years of research, the exact reasons for why people commit suicide remain elusive. Researchers do know that suicide is rarely caused by one factor; there are several circumstances that connect most suicides. The CDC, for example, says that suicide victims often faced losses or relationship problems, life stressors, or impending crises. One startling fact from the report is that in 2015, 54 percent of suicide victims in 27 states displayed no known mental health conditions. For schools, the ever-increasing academic pressure of middle and high school and the devastating effects of bullying, combined with the emotional roller-coaster of adolescence perpetually threatens students’ social-emotional health. While school districts across the country are working to bring the issue of suicide into the light and to engage students who may be considering self-harm, lingering stigmas around mental health persist. The fear of stigma often leads adolescents to suffer in silence, with no release for their feelings–until the pressure and emotions become overwhelming. Along with programs to break the stigma around mental health and suicide, many school districts are also working to give students an outlet to seek help without drawing unnecessary or negative attention to themselves. In February, administrators at Klein ISD in Texas rolled out Keep Klein Safe, an online initiative that gives students and community members an easy way to read about safety issues and procedures in the district, to ask questions, and to report potential physical and social-emotional threats, such as a friend in need, or someone being bullied, for example. Students can choose to leave their name or to seek help anonymously. The software, called Let’s Talk!, from K12 Insight, makes it possible for administrators to track and collaborate on responses, while protecting the anonymity of students and others. At Temecula Valley Unified School District in California, the district’s Report Bullying solution, also powered by Let’s Talk!, made it possible for two students to submit concerns about fellow students who they feared were at potential risk of harming themselves. The notifications touched off an established intervention protocol–and, in both cases, district resource officers were able to reach out to the students’ parents. As the latest statistics attest, student safety is threatened not only by the potential for external violence in schools, but also by the internal turmoil many students face on a daily basis. As the search for new answers and approaches continues, school leaders have an important role to play in helping to fight the stigma around mental health issues, and to give voice to those in need of help. What steps is your school or district taking to address student mental health? Do you have protocols in place to identify and intervene when students feel threatened or are at risk of self-harm? Tell us in the comments. Todd is Managing Editor of TrustED. Email: tkominiak@k12insight.com. Be the first to comment on "Suicide rates are hitting crisis levels. And K-12 students aren’t immune." News and solutions for school leaders delivered hot to your email inbox! Customer Experience Platform – Let’s Talk!